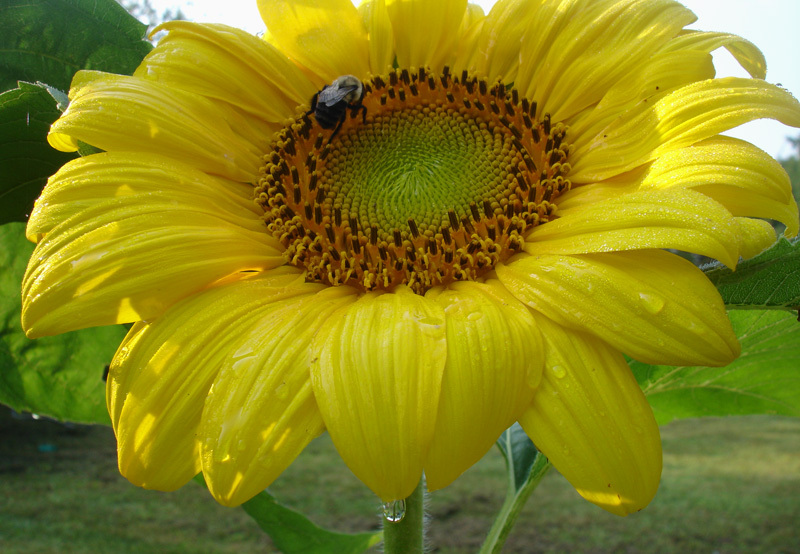 Last year I planted a lot of sunflowers and the birds who frequented the feeders contributed to the planting as well. Early one August morning, while the dew was still fresh on the flowers I caught this bee at work. I like to be(e) up early and enjoy the quiet promise of the day unfolding. I also have a picture of a bee on one of your sunflowers, quite possibly the same flower (and who knows, maybe even the same bee). Your image is a lot sharper than any of mine though. Well done!